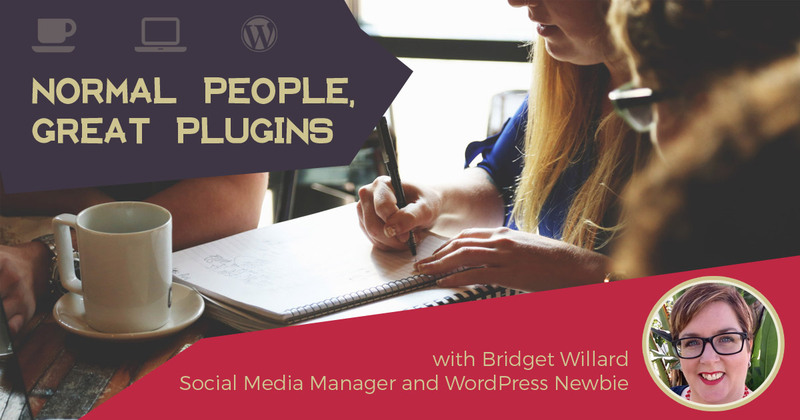 This is a great plugin by WordImpress. I chose this plugin because I think Google Reviews are helpful but are needlessly difficult for people to find. I mean, unless you look up a company on Google Maps, it’s an enigma. Reviews shouldn’t be Speak-Easies. But I digress. It takes five minutes to install the plugin. You need your Google Places API. Yes, the real catch is to get your Google Places API which is a short way of measuring intelligence or determination. Let’s go with determination. API is fancy for “some special code we give you that grants the plugin access to our data.” I honestly have no idea what it means. You need it. Get it first. 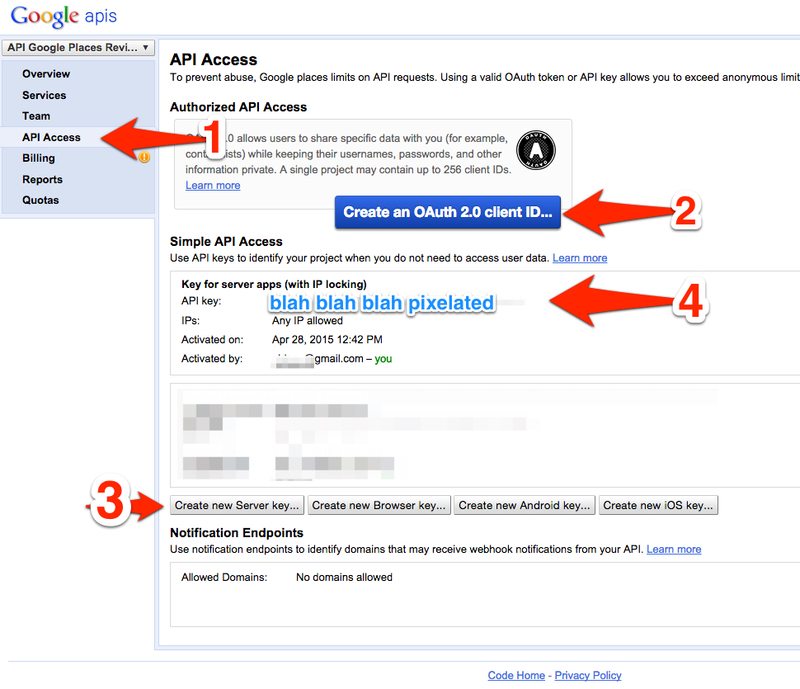 To get your API, follow the steps from the WordImpress documentation page here. After you get your API key (you saved it, right? 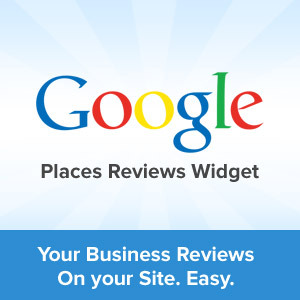 ), login to your website, navigate to plugins, click add new and search for “Google Places Reviews.” Activate the plugin. You feel like a superhero now, right? 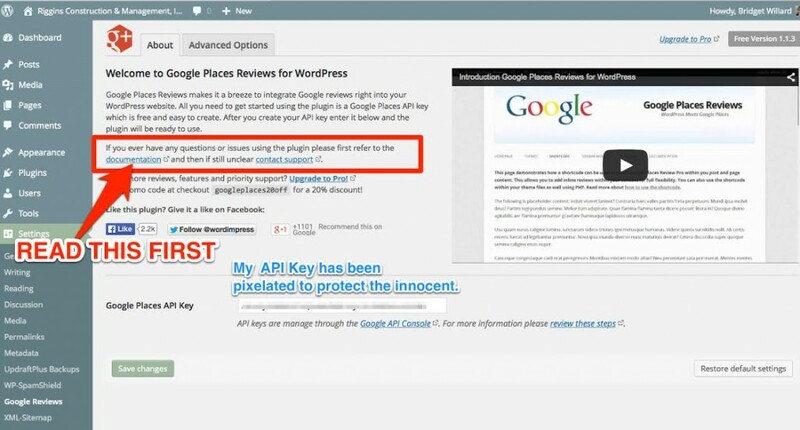 Go back to plugins on the side, find to Google Places Reviews and click settings. Then add that API key (string of random characters) into the box and click save. You have more options in the widget area so rest assured. Go to Appearance, then Widgets. You’ll see Google Places Reviews as a widget. Drag the widget where you’d like it to appear. Where is part of your theme. You may have footers or several sidebars to choose from. If you expand the widget options (with the light gray triangle), you can add a title like “We’re better than you and here’s why” or something nicer. It’s up to you. You can also limit the number of views or decide how much of their information will be displayed. This widget also has a theme. Now, don’t be confused. Yes, this plugin creates a widget. But, it’s still a plugin. And though your theme controls your overall site’s appearance, you have some more control over the appearance of this box. Boom. Just like that you’re done. But alas, my reviews are live and functioning. You should be able to get it up and running in 15 minutes, twenty tops.